As the feature band belts out a song, a bouncer from a Calgary Stampede nightclub pushes a partying audience aside. He’s not moving them because of any problems — he just needs to make room for a Go Services vacuum truck and crew to get through to service portable restrooms. It’s part of the contract, says Dustin Cabelka, one of the owners of Go Services, a portable sanitation provider based in Red Deer, Alberta. 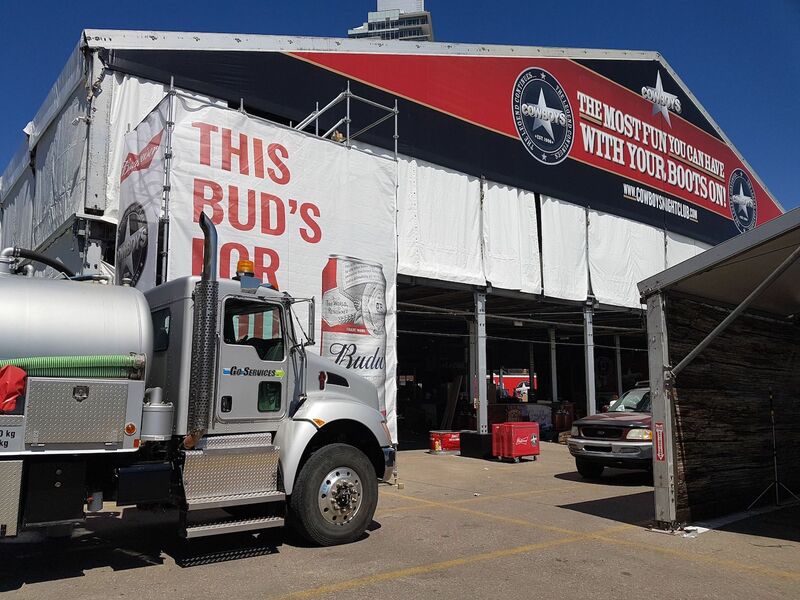 The company provides 40 portable restrooms and twice-daily servicing for a nightclub that hosts big-name entertainers during the city’s famous Stampede. The last servicing time each day is 10 p.m. to midnight during the middle of a show, and the restrooms are located about 50 yards from the outdoor stage. To keep the hassle for the 5,000 fans to a minimum, restrooms are set up in groups, and bouncers work with the Go Services technicians to get them in and out, 10 restrooms at a time. There just isn’t a better time to do the job and make sure restrooms are serviced up to Go Services’ standards. Contracting with events to provide restrooms is a growing part of the business, and the company has learned to adapt to challenges. For example, at the Ponoka Stampede, Go Services provides 80 restrooms that are serviced twice a day. While they don’t need a bouncer to navigate between them, technicians face a different challenge. 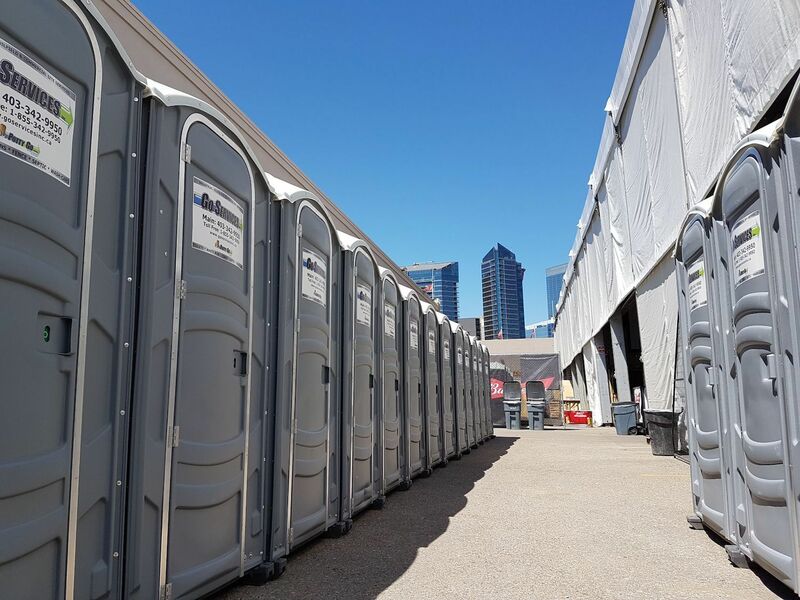 To serve a variety of events, Go Services uses restrooms from PolyJohn and Satellite Industries, restroom trailers from Rich Specialty Trailers and UltraLav by Wells Cargo, and hand-wash stations and holding tanks from PolyJohn. The event service fleet was built out by Vacutrux Limited and uses Wallenstein pumps. Though events around Alberta may be hectic for drivers, the restroom provider is up to the challenge as it continues to add more events to its annual calendar. The location of company headquarters halfway between Canadian urban centers of Calgary and Edmonton make it make it convenient to bid on many events. To learn more about Go Services, check out the May PROfile story in Portable Restroom Operator magazine.